This recipe was submitted by Nashta back in 2008. I tested it and took photos in September 2013. I found this oatmeal acceptable, but not truly great. At the very least, it needs a teaspoon of sugar, maple syrup, honey or artificial sweetener equivalent to give it a bit a life. 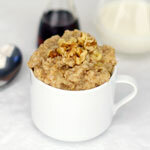 On the same day I tested this hot cereal, I tested another very similar recipe called Easy Banana Date Oatmeal. That recipe was far superior. It includes a bit of butter and some brown sugar. 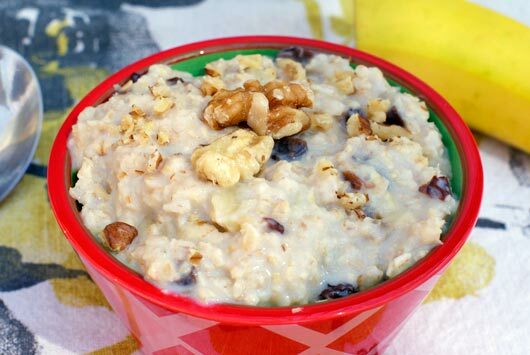 The tiny amount of added fat and sugar is worth it to have a much better serving of oatmeal. Chop the banana and dates into little pieces, about the same size as the walnut pieces (when chopped). For The Stove Top: Cook the oatmeal as you normally would, but when it has about 1 minute left, stir in banana, dates and nuts. Reduce heat and cover for remainder of cook time. For The Microwave: Stir together oatmeal, water, and dates. Cook as directions imply on oatmeal package, but when it has about 30 seconds left, then stir in walnuts and banana and finish nuking. 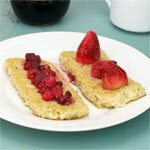 Serve with coffee for a yummy breakfast! *Generally, one serving of oatmeal is made from 1/2 cups oats (quick or Old Fashioned), 1 cup milk or water and 1 pinch of salt. 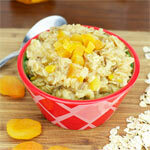 A healthy, no-sugar-added oatmeal recipe with lots of fruit and yumminess! Also has no cholesterol or bad fats. Mr Breakfast would like to thank Nashta for this recipe. 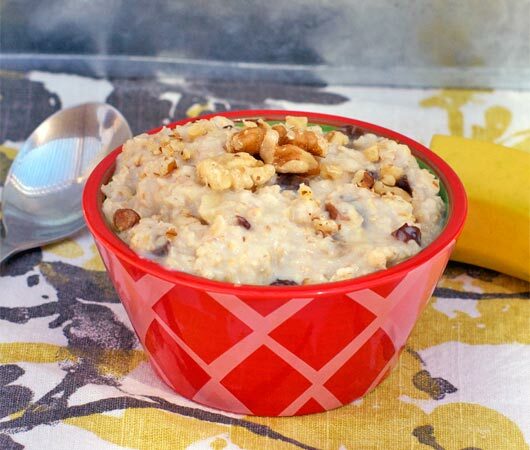 What do you think of Banana Date Oatmeal? So sweet, comforting and delicious. Super easy to make too. 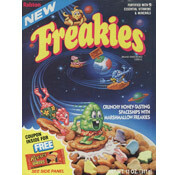 Wow... this really seems to be a wholesome healthy breakfast... will try it for sure. 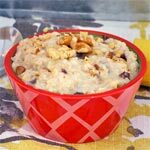 This is such an easy recipe to prepare, and it is special enough for company breakfast. I wasn't sure about bananas in oatmeal, but the combination of nuts, bananas, and dates is outstanding. I will make it again and again when we have overnight guests.